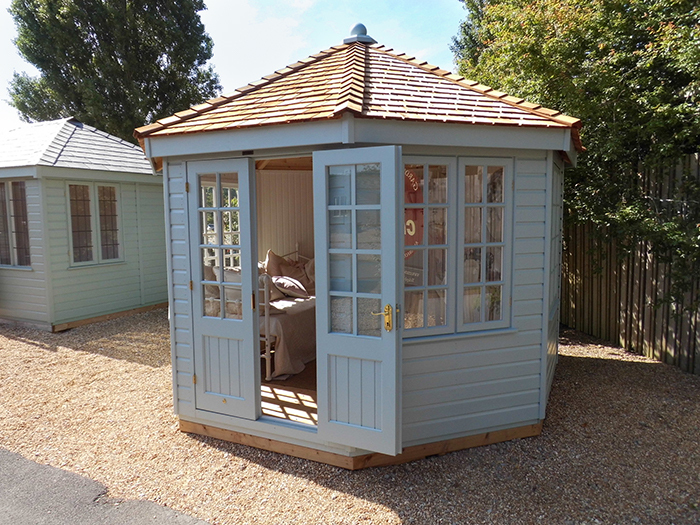 This charming Wiveton Summerhouse boasts an octagonal roof covered in rustic cedar shingles and smooth shiplap cladding painted in Valtti Verdigris. 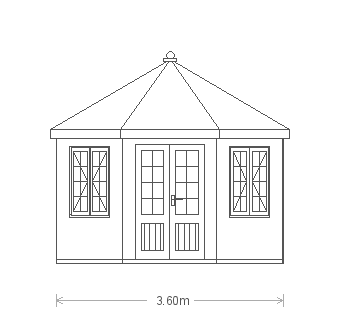 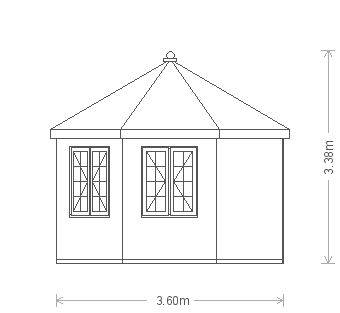 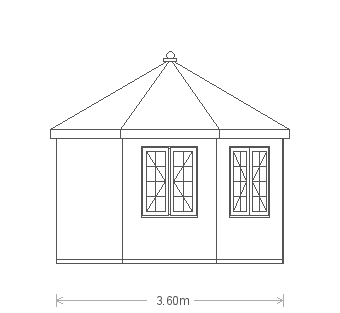 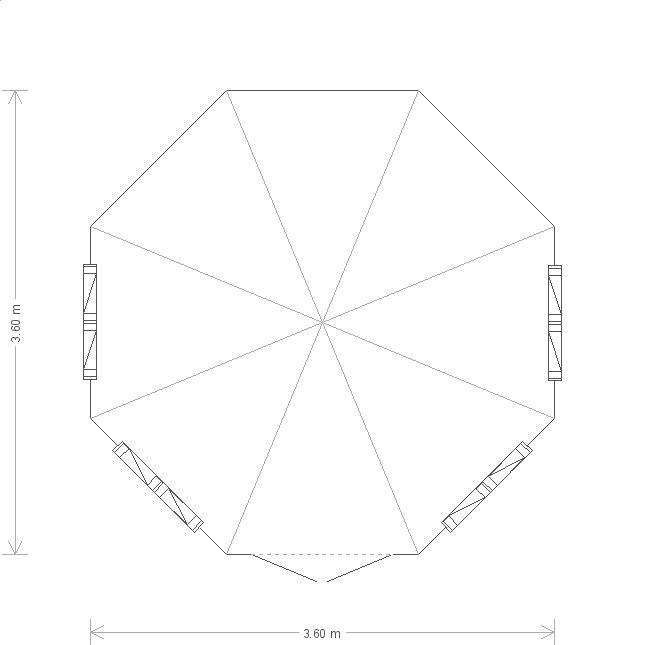 Measuring 3.6 x 3.6m, the building is perfect for many uses, whether that be a summerhouse, reading room or entertaining space. 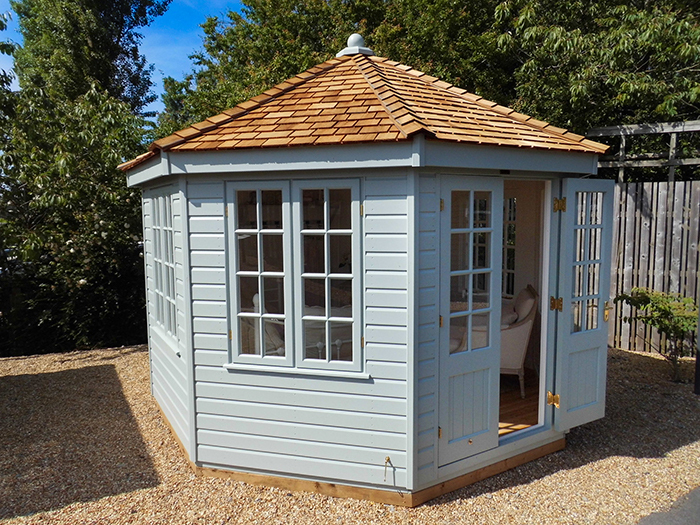 8 opening Georgian windows allow for adequate ventilation during the summer months, while internal wall and ceiling insulation will keep temperatures pleasant during the colder months.